Nalini had sought premature release under the 1994 scheme and had later moved the court. 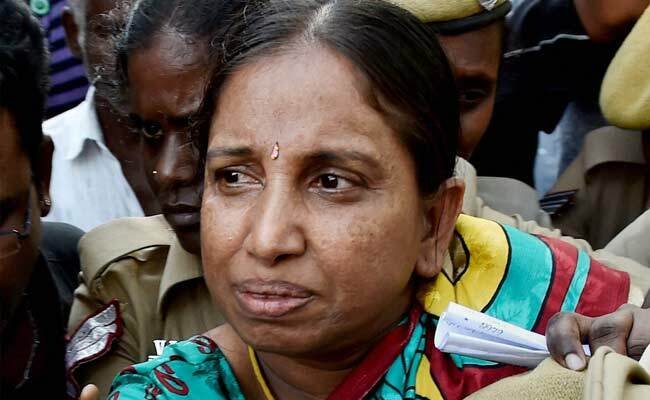 Chennai: The Madras High Court today rejected Rajiv Gandhi assassination case convict Nalini's plea for premature release. A division bench, comprising Justices KK Sasidharan and R Subramanian, had reserved the order on April 24 on the plea by Nalini, challenging the order of a single judge rejecting her prayer for premature release under a 1994 state government scheme under Article 161 (powers of Governor to grant pardon). In a February 22, 2014 representation to the state government, Nalini had sought premature release under the 1994 scheme and had later moved the court. The state government had opposed the plea citing pendency of a similar matter in the Supreme Court then. Following this, the single judge had asked it to consider the representation subject to the outcome of the apex court proceedings. The Supreme Court had in its March 2016 order made it clear that for premature release pleas under CrPc Section 435, concurrence of the Centre was required in cases handled by central agencies such as the CBI. Upholding the single judge's order, the division bench said Nalini will have to wait for the outcome of the matter pending before the Supreme Court, and dismissed her appeal. "The bench is in full agreement with the views expressed by the learned single judge," the bench said.